The community of Shaver Lake at an elevation of 5600 ft. has a rich History of Logging, Ranching, and SCE Hydroelectric Power projects. 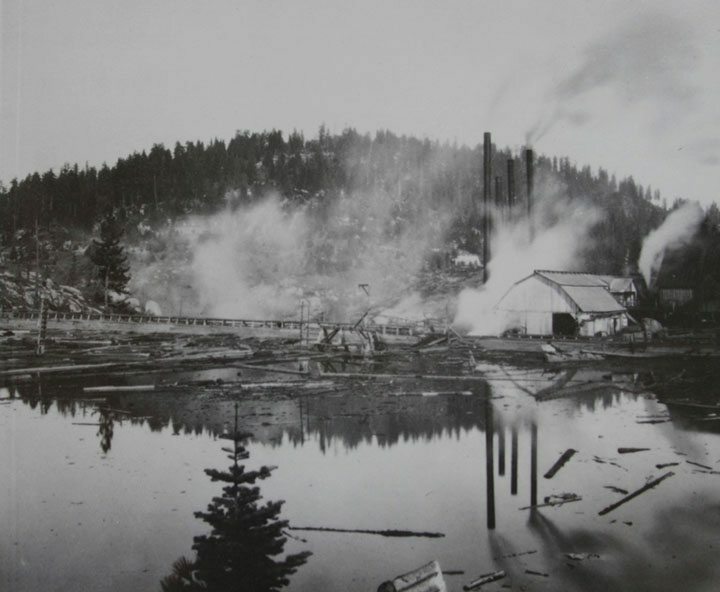 The Shaver Lake area has a fascinating history of logging that started in the 1890’s with the construction of a sawmill and small dam to create a ponding lake (the first Shaver Lake) for logs where a 45 mile flume with steep grades sent sawn lumber to Clovis. This continuous high volume lumber supply operation played an important role in the development of the Fresno area, the San Joaquin Valley farming industry and the Big Creek Hydroelectric project. The sawmill operation was flooded when the Edison Company in 1927 finished building the new Shaver Lake Dam for the Big Creek hydroelectric project. For an interesting history of the central Sierras, it is highly recommended that you visit the Central Sierra Historical Society Museum at the Camp Edison Campground in Shaver Lake. The museum displays many antiques, Native American artifacts and historic memorabilia of the whole mountain area that includes the Big Creek Hydroelectric Historical District of Huntington Lake, and the Mono Hot Springs-Edison Lake-Florence Lake area. The Museum is off Hwy 168 just before entering the main town area. Watch for the Camp Edison Campground sign to your left coming down from Mono. Get Area News and Great Specials! Signup for our FREE e-MonoMail newsletter.